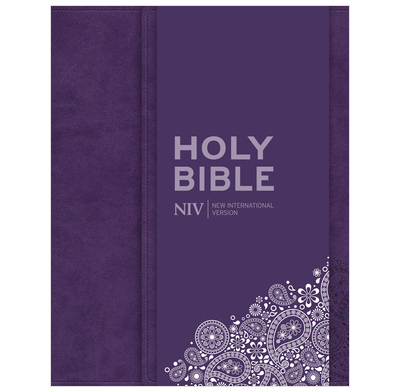 This soft-touch embossed leather purple NIV Bible makes a beautiful gift. Text size: 7.25pt. This soft-touch embossed leather purple NIV Bible makes a beautiful gift. Comes with a magnetic clasp, ribbon marker and presentation page. Also contains a short concordance. Text size is 7.25pt. British spelling, grammar and punctuation.